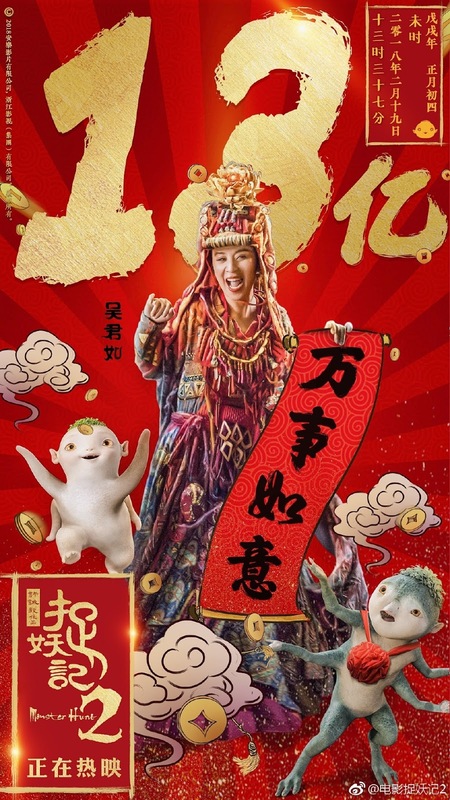 The first weekend of the Lunar New Year has passed and the big premieres that were released on Feb 16 have been quick to give updates on their respective performances at the box office. 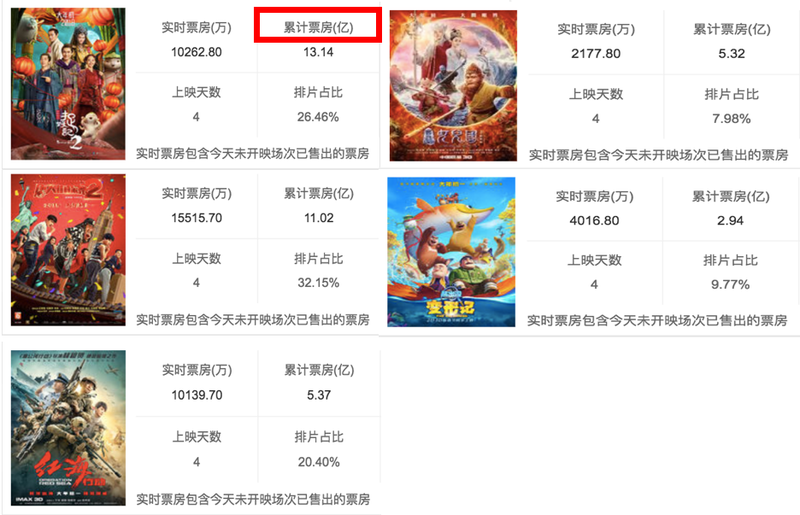 As of the writing of this post, Monster Hunt 2 leads with 1.35 billion followed by Detective Chinatown 2 with 1.102 billion. It seems to be a tight race between the two highly-anticipated sequels and it didn't go without controversy as a netizen was revealed to have bought Detective Chinatown tickets that had Monster Hunt printed on them. Monster Hunt 2 has released a statement explaining that it as an honest mistake on the part of the theater staff and not a move to inflate numbers as it was being implied. 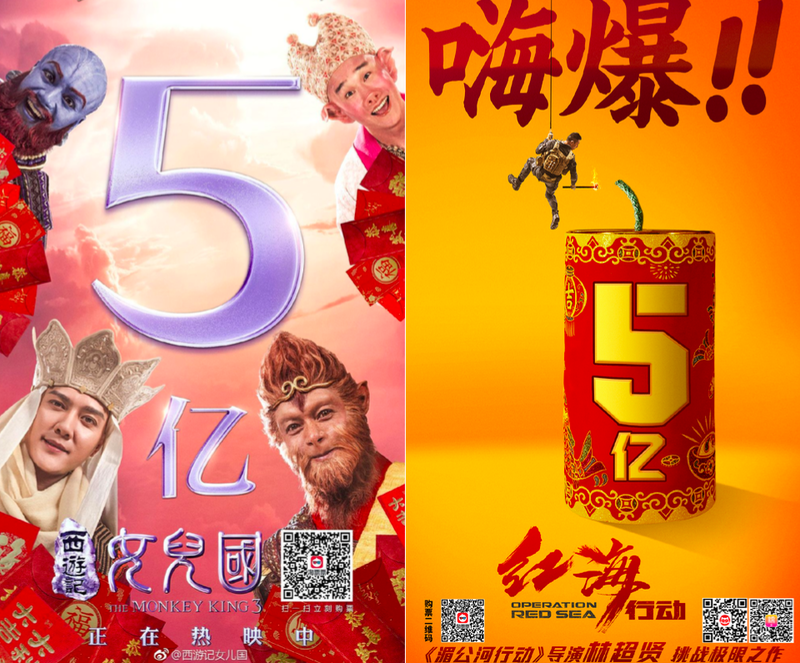 Meanwhile, Operation Red Sea and Monkey King 3 have dropped posters to celebrate hitting the 5 billion mark though both have got a ways to go to catch up to the top two. Last on the list is The Big Shrink which is a wholesome animated movie for the family. 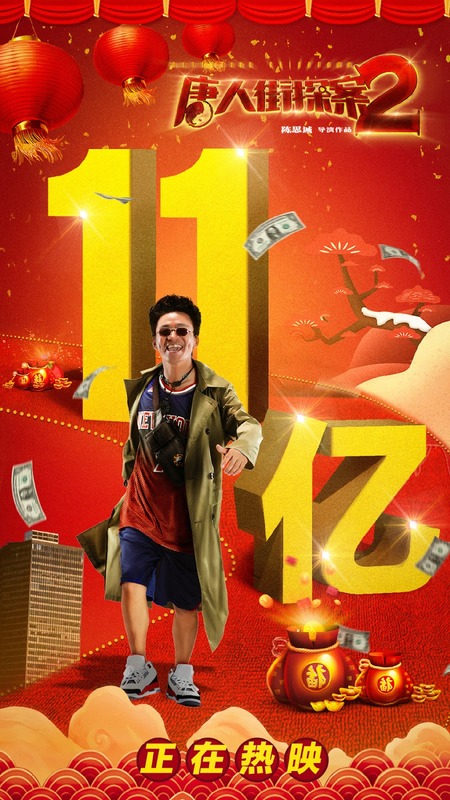 Previous installments of the film were also released on Lunar New Year. oops i knew that, don't know what happened too many zeros haha. Thanks for letting me know. have fixed it. Is that billion in Chinese Yuan sale? I'm more amazed that Bollywood's Secret Superstar is still in the top 10.